EAI, the parent company of CastorOil.in, had been studying the bioplastics industry for the past few years and in the recent past we had the opportunity to look at the sector, in India and worldwide at close quarters. Based on these, we have put together an exclusive team to provide strategic and market consulting for the global bioplastics industry. If you are interested in the bioplastics sector and the opportunities it presents, see here to know how the Bioplastics Guide can help you get a strategic understanding of the bioplastics market. The Bioplastics Guide, which was started by EAI as a specialized division to provide strategy and market consulting for the bioplastics and biopolymers segments, has a useful section that provides an overview of bioplastics. The Bioplastics Guide, an initiative by EAI, is a focussed consulting and market research division for the global bioplastics and biopolymers sectors. The Guide has an interesting section that provides an overview of the end use segments and applications for bioplastics. Get to know more about the current and emerging end use segments for bioplastics from this page @ the Bioplastics Guide. 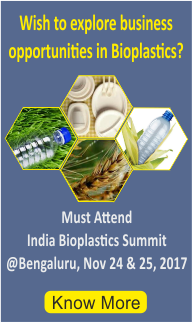 If you have a professional interest in bioplastics, this event is a must attend. Or, you need to wait for another 3 years! The conference happens from 8 am to 12:30 pm with opportunities to ask your questions and a networking break in between. This conference accompanies the biggest trade show on plastics and rubber, K’2016, which will be taking place on the same days starting at 10:30 am. Meet the Experts: Learn industry developments and trends from the leaders, from top global firms such as NatureWorks and BASF to pioneering researchers, all at one place. Focused Learning: With a separate focus on each of the three days, this is an exceptional opportunity for you to get clarity on terminology, production routes, chemistry and applications of bioplastics. Industry Connections: Form connections with leading bioplastic companies and consultants to help your business plans. Marc’s career has been in sales and business development. He is currently Global Segment Lead, Rigids, at NatureWorks and had been Commercial Director, Europe, for more than 10 years previously, also at NatureWorks. Sven is currently Research Manager, Safety Engineering at BASF Corporation, U.S. Though his careers, his responsibilities have been in ensuring process safety, assessment of chemical reaction hazards and management of chemists and technicians. Hugo is Senior Business Director, Bioplastics, at Corbion. 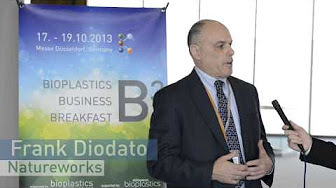 In more than 6 years at Corbion, he has helped the company developed the business of bio-based plastics. In the PLA part of the business, he has been responsible for setting up partnerships throughout the supply chain, among other things. His overall career has been focused on management, including business strategy, international sales and business development. Bert is the Business Development Manager, Europe, at Corbion. After a short technical career, he has been in sales & accounts management since 2012. Caroli is the Director of Bioplastics and Biobased Packaging, where she advises companies and provide insights into making the right choices around bioplastics and bio-based packaging. She is also the founder of TassenBol, which helped government, retailers, consumers and municipalities to realize environmental change. Chelo has more than 15 years of experience in the field of extrusion of polymeric materials. Her main lines of research and work are the development and extrusion processing of new materials, the development of biopolymers and thermoplastic composites for various applications such as packaging, construction, agriculture, etc. Francois, Chairman of European Bioplastics Association and Senior Director – Marketing at Corbion, has held various business leadership roles in B2B environments, having worked previously in GE plastics, SABIC Innovative plastics and EconCore. His responsibilities have included: defining the new PLA business strategy & detailing the business case for forward integration; and operationalizing the new strategic direction. Remy Jongboom, Biotec – Presenting on Bioplast 900, what else? Remy is the Director of Business Development at Biotec. He has been responsible for the introduction of 2 bioplastic brands and significantly contributed to third, all in market now. His career spans R&D, product development, management, marketing/sales and consultancy on a senior level. Kate, who is a chemist at Scion, is developing new packaging materials using biomaterials. Particular area of interest is biopolymer foams as an alternative to expandable polystyrene. The conference fee is € 299.00 for one day, € 449.00 for two days and € 499 for all three days (VAT extra, where applicable). Send a note to Vijay Wilfred at vijay@eai.in or call him at +91-9994699951 for registration. Visit this link to know more about the conference. Registration also gives you access to the K’2016 trade show. This post has little to do with the castor industry and more with a fascinating aspect of castor seeds – the fact that they look rather cool while at the same time containing ricin. Came across an interesting news item on this – a bunch of students in Canada mistook castor seeds for lychee seeds and consumed them. Now, it is not exactly easy to consume castor seeds – they are really tasty, that is for sure – but somehow these lads had consumed them. Thankfully, everything ended well after this mistake was discovered early and the students were treated. 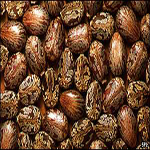 But it once again throws light one of the very few concerns that folks have with the castor crop – its poisonous seeds. So, overall one can perhaps say that the castor seeds in theory seem to pose some danger but unless used intentionally (and they have been – see here and here), its ricin seems to have done little damage so far. Scientists at the University of Agricultural and Horticultural Sciences (UAHS), Shivamogga (Karnataka), have developed disease-resistant varieties of castor seeds. 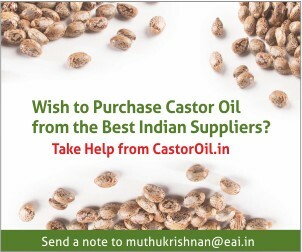 Castor seeds are widely cultivated in dry regions of Chitradurga, Davangere and Tumakuru districts. 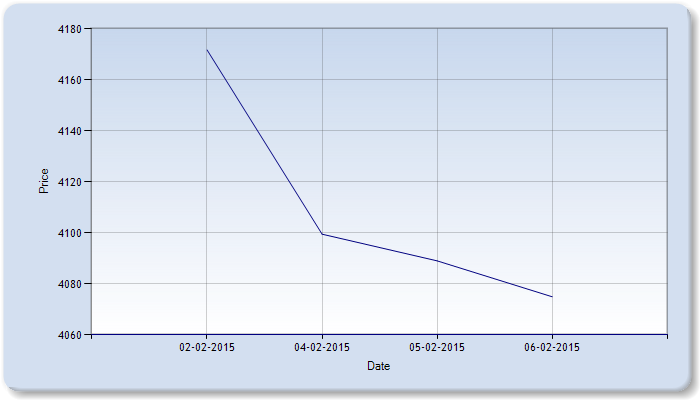 However, the yield of castor seed has been waning owing to fusarium wilt and white fly infection. Scientists at zonal agricultural and horticultural research station of the university at Hiriyur have developed a disease-resistant and high-yield variety of castor seed named HCH (Hybrid Castor Hiriyur)-6, which is a fusion of DPC-9 and TMV-6 varieties. If cultivated as a solo crop, the yield of HCH-6 variety is said to be around 18 quintals a hectare of land, while it was around 13-14 quintals a ha in other existing varieties. As part of the farm trial, Lakshmanappa, a farmer from Holalkere in Chitradurga district, who had cultivated HCH-6 variety of castor in his land, said that the yield had increased by around 22 per cent and the plants were free from wilt infection.P. Narayanaswamy, Director of Research, UAHS, Shivamogga, said that KPR-1 paddy and HCH-6 castor seeds would be released after getting approval from the State-level Variety Release Committee and the Central Sub-committee on Crop Standards, Notification and Release of Varieties. The seeds of both the varieties would be released by June, 2016, he said. If indeed the castor seed yields could be increased to 1.8 tons/hectare, this could be a big boost to farmers, as the country’s average is hovering only about 1.3-1.4 T/hectare as mentioned earlier. And with the castor seeds seeing an overall upswing in prices in the past few years and hovering at about Rs 40/Kg (though 2015 saw slightly lower prices than 2014), such increases in yields could result in many more farmers taking up castor cultivation. 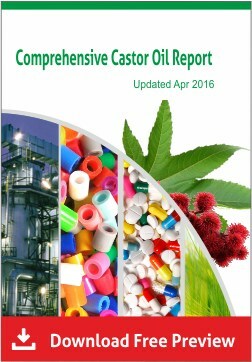 Recent news items suggest that Oman is setting up a plant to produce sebacic oil from castor oil. While new sebacic acid plants in themselves is not such interesting news, it is interesting to see an Oil Economy country going for a renewable oil production. This news was first reported by CastorOil.in many months back. In May 2015, Oman Sebacic Company, promoted by India-based Shipra Agrichem Pvt Ltd and Omani businessman Shaikh Hilal bin Khalid al Mawali, signed an agreement with for the development of this one-of-a-kind project at Duqm. Shipra operates a 10,000 metric tonnes per annum capacity sebacic acid plant in Vadodara on India’s west coast. 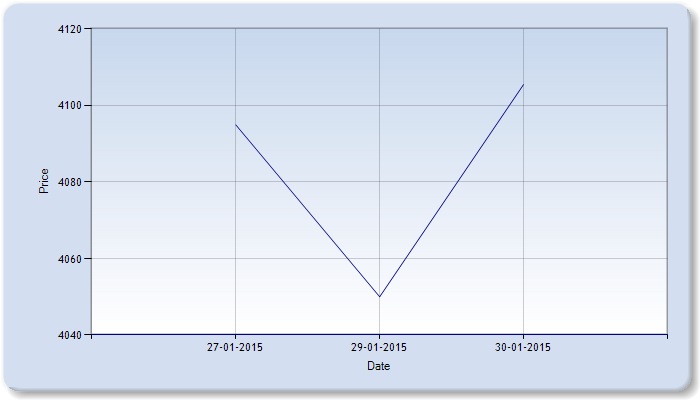 the plant construction is expected to start in Q1 2016. Alongside the sebacic acid complex project is a project to cultivate 66,000 acres of castor, under a total buyback agreement by the project promoter, Pradeep Nair. What is also interesting is the cultivation of castor, I am not entirely sure if the cultivation is supposed to be happening in Oman (which I doubt). 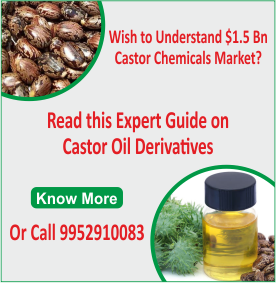 More likely, the cultivation would be in Gujarat and either the castor seeds or castor oil from the cultivated crops would be completely bought by the Omanese company. Am looking forward to further progress of this venture. 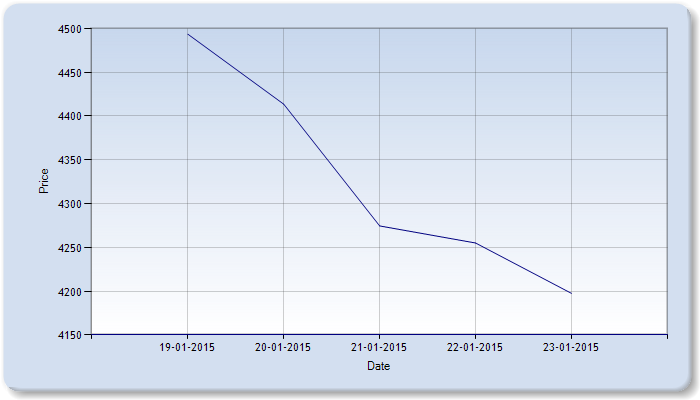 A steady decrease in the price of castor seed is noticed this week.